This Valentine’s Day, February 14, 2019, couples and singles alike are invited to visit City Winery Atlanta at Ponce City Market for an unforgettable experience celebrating the sweetest day of the year, including a three-course prix fixe dinner created by Executive Chef Mario Manzini, available for $35 per person, and as if that wasn’t enough, guests can also take advantage of a special wine pairing by resident winemaker Travis Green, for an additional $20. The popular urban winery, restaurant and live music venue is also hosting an acoustic evening with celebrated American singer-songwriter Donavon Frankenreiter and Brett Bigelow in the concert venue in addition to the special three-course prix fixe dinner in the Barrel Room Restaurant and Wine Bar. Tickets are on sale now for the Donavon Frankenreiter show starting at $22, plus applicable fees. 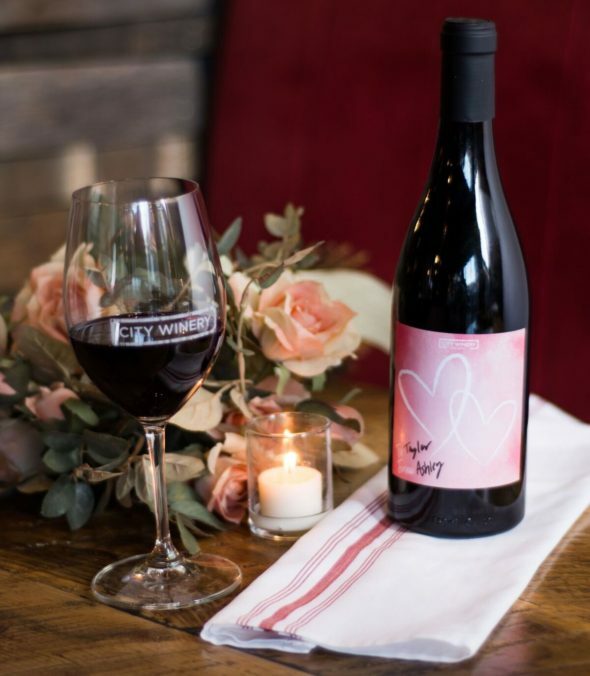 Doors open at 6 p.m. and the show begins at 8 p.m. Revelers can also kick Valentine’s Day up a notch and treat their wine lover to an ideal gift for the season, a City Winery customized Valentine’s Day 2016 Ponce Pinot Noir wine bottle. Rich with unique coastal influences, the Pinot Noir not only warms the body, but also offers a silky sensation with aromas of cherry coke and smoke to draw you in, and is topped off with pomegranate, black cherry, and raspberry flavors, draped in bright velvet tannins. The City Winery Valentine’s Day bottle is available for $25 in The Barrel Room Restaurant. To make a reservation, or for more information, visit  citywinery.com/atlanta or call 404.946.3791. City Winery is located at Ponce City Market, 650 North Ave NE, Suite #20,  Atlanta, GA 3038. Stay connected on Twitter, Instagram and Facebook at  @citywineryatl.